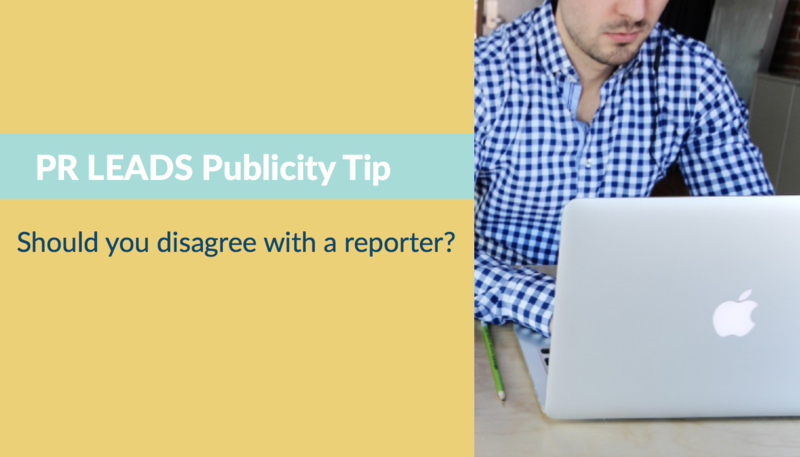 Home/Uncategorized/Publicity Tip: Should you disagree with a reporter? What happens when you disagree with the reporter’s point of view on a PR LEAD? Should you throw away the lead or respond to it? Actually being a contrarian is one of the best ways to get quoted! Reporters need to present both sides of a story – ideally! They might ask for people to give info that supports their thesis, but many reporters would also like to point out the other side as well. This issue came up recently when one of my new clients, Jayne Heggen, President of Heggen Group LLC, asked if it was okay to disagree with the reporter’s point of view. “Many would agree with your statement that project management is tasked with delivery,” however I don’t believe this notion is correct. • Here’s a contrarian point of view. • Here’s the other side of the story. • For a balanced point of view, please consider these comments. Those are off the top of my head. No one ever asked before, and it’s a great question and I’m going to add it to my training series I send to all new PR LEADS clients! What do you think? How would you let the reporter know there’s another side to the story?